← Nous recrutons! We’re hiring! 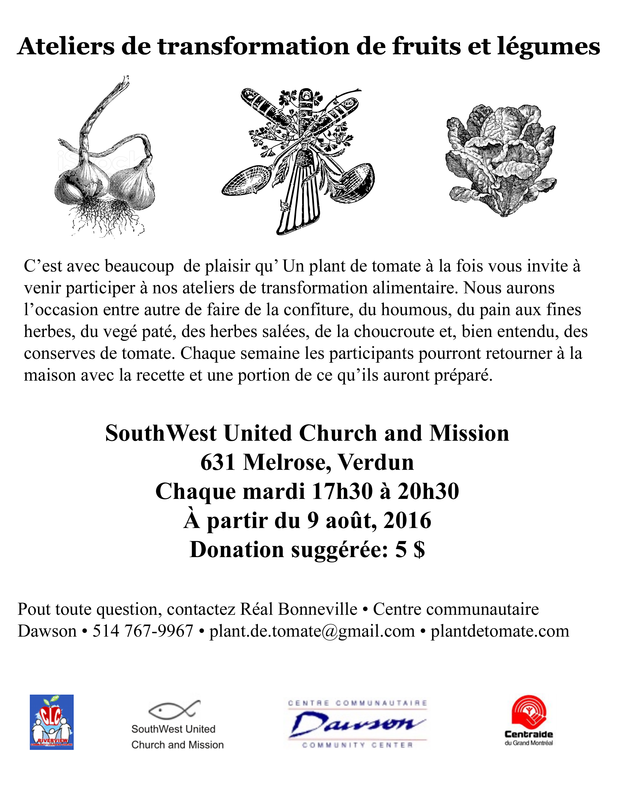 Ateliers de transformation de fruits et légumes! 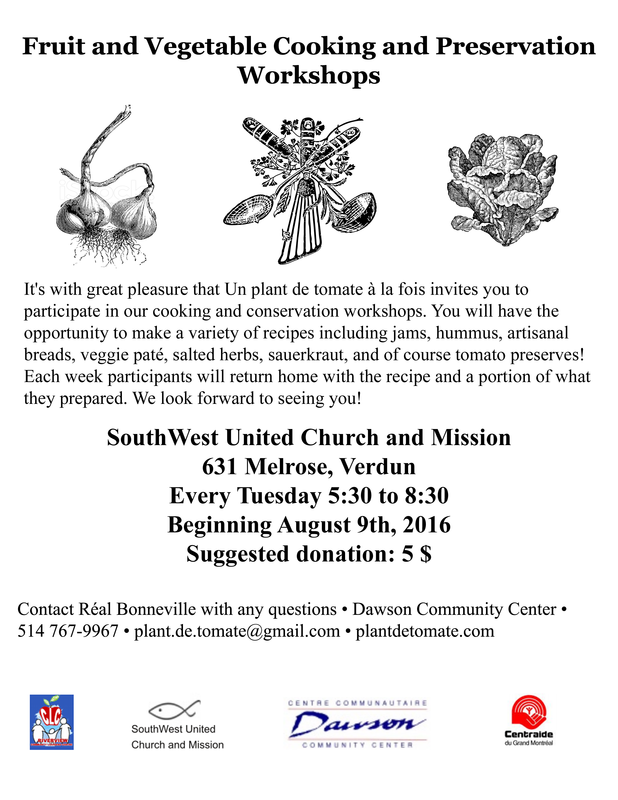 Fruit and veggie cooking and preservation workshops! Nos ateliers de cuisine commençeront la semaine prochaine! Joignez-nous le mardi 9 août pour un atelier au thème de courgettes. À bientôt! // Our cooking workshops begin next week! Join us next Tuesday, August 9th for a workshop on cooking with zucchini. See you soon!